The importance of the Business Analyst or someone performing business analysis activities is becoming a key skillset for modern organisations to manage change and stay competitive. As the velocity of change and the impact of technology increases, organisations need people with the capabilities to analyse what changes are needed and how to deliver that change. BCS, the International Institute for IT, has seen an increasing interest in Singapore, Malaysia and other South East Asian countries, in their Business Analysis certification paths. The BCS’s Business Analysis certification is overseen by some of the world’s leading practitioners, from an academic and industry background (BCS.org). Studying for and obtaining Business Analysis chartered certification proves to your current employer or prospective employers that you have a certified grasp of core business analysis practices and analytical mindset. Certification allows you to perform better in your current role and will help you stand out from your peers when switching roles, organisations or looking for promotion.BCS Business Analysis CertificationThe BCS Business Analysis Certification (International Diploma in Business Analysis) suits those looking for a comprehensive grounding in Business Analysis competencies. The syllabus suits both those looking for enterprise business analysis competencies and those BAs working closely supporting IT change. To gain the diploma you must take 2 of the core BA modules and exams (Requirements Engineering AND Business Analysis Practice) and adjunct specialism and practitioner modules (Modelling Business Process and Business Analysis Foundation). On completion of these courses and exams, you are then eligible to take the Diploma oral exam. 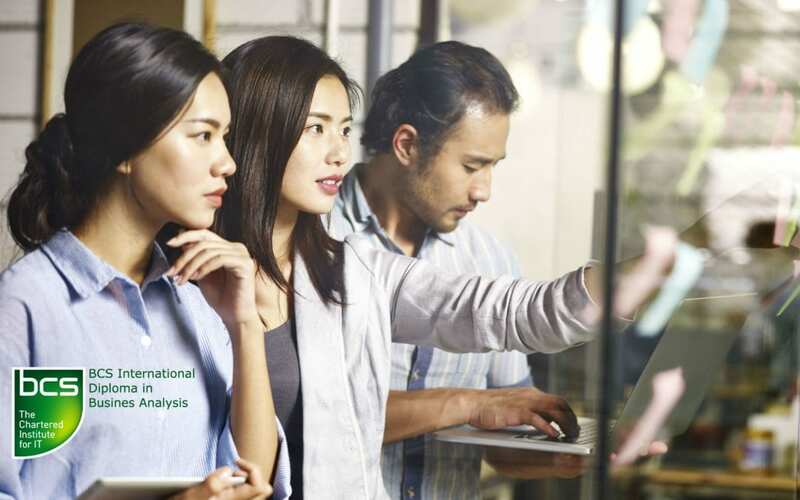 There are no prerequisites to qualifying to take the BCS International Diploma in Business Analysis modules.At R1 Training, we deliver courses for the BCS International Diploma in Business Analysis throughout South East Asia. We are based in Singapore and specialise in small classes that are focused on giving you the best learning environment to progress your knowledge, competencies and career. Our tutors are industry veterans and we have designed our courses not only to strict demands of the BCS academic syllabi but also to the skillsets required of industry today. We will support and prepare you to pass the BCS exams. Our expert BA tutors have taken 100s of candidates successfully through the certification path.Contact us for further details on how we can propel your Business Analysis career.